Major League Baseball (MLB) and the National Basketball Association (NBA) stand to make a combined $1.7 billion a year from legalized sports betting according to a study commissioned by the American Gaming Association (AGA). The study is the latest from the AGA, which previously released reports that projected that annual revenue for the National Football League and National Hockey League would increase by $2.3 billion and $216 million, respectively, from legal sports gambling. 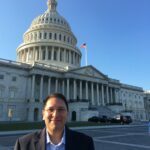 The studies have come as key members of Congress have said they may need to act to protect children and consumers from online sports betting, including at a hearing last month convened by the House Judiciary Committee’s Crime, Terrorism, Homeland Security, and Investigations Subcommittee. But Gaming industry advocates, including the AGA—which represents Nevada gaming companies, including Caesars Entertainment—have urged Congress to allow states to regulate themselves following the Supreme Court decision in May overturning the 1992 law banning sports gambling. Nevada gaming companies stand to gain from new business opportunities as more states decide to allow sports betting. The AGA has argued that federal regulations could make it impossible for sports book operations to turn a profit because of notoriously thin margins, an issue they argue would prevent legal sports gambling from competing with illegal operations. They also point to Nevada as a successful model for regulating the industry. According the analysis, conducted by Nielsen Sports, MLB is projected to take in $1.1 a year from sports betting, including $952 million from increases in media rights, sponsorships, merchandise and ticket sales. Another $154 million would come from gaming-related sources, including advertising from gambling services, sponsorships from gambling services, and data and product revenue for third-party gambling services. The $585 million the NBA is expected to make would similarly come mostly from increased interest in NBA games, including $425 million from increases in media rights, sponsorships, merchandise and ticket sales. The remaining $160 million would come from gaming-related sources, including advertising and sponsorships from gambling services, as well as data and product revenue for third-party gambling services.